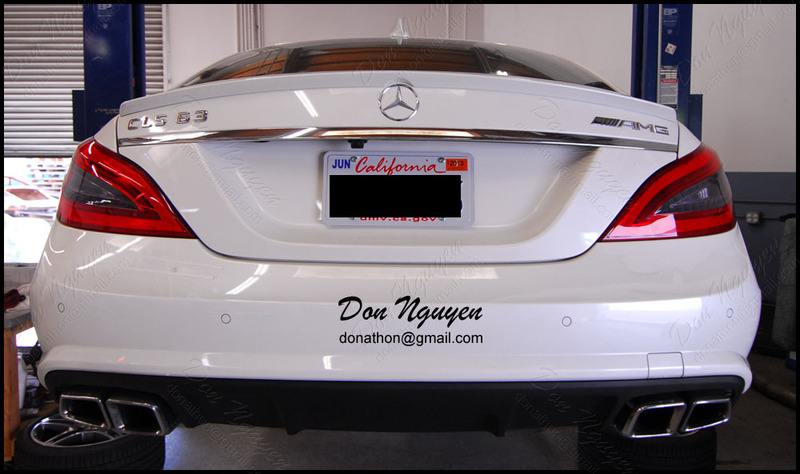 Went over to my friend's shop (Serge @ BenzWorks in Huntington Beach / Orange County) to tint / smoke the tail lights on this white CLS 63 AMG. I only tinted / smoked the clear portion of the tail lights and I left the red alone. 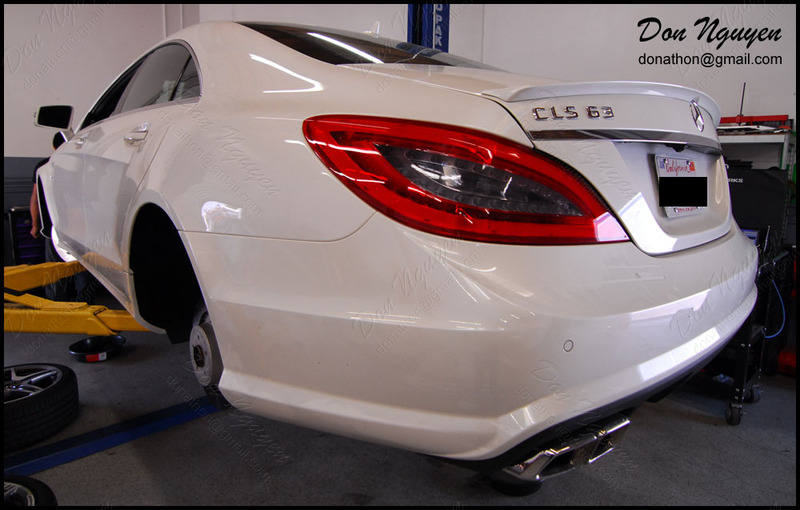 This gives the car slightly more character with just the subtle change in shade of the clear portion of the tail lights. It's a fairly light shade, so it almost feels factory looking, so it goes well even on cars that are more lightly modified or more on the stock-ish side.